Commonly known as the Valley of the Sun, the Phoenix area is a desert community with lots of sun and warm winters. You will enjoy your time here and discover lots of new things that you didn’t even know existed in this area. From sports fans to families, there is something for everyone here with economical shuttle transfers by shared ride vans are one of the most common ways to get around the area. If travelers have sometimes on their hands, they could enjoy the time period of their stay at the Sky Harbor International Airport. Sky Harbor has art displays in all of its three terminals as well. And Terminal 4 has a free museum. While staying at the airport, children tend to get bored and restless. Sky Harbor has safe play areas for the children. The pet parks of Phoenix Sky Harbor International Airport are immensely popular amongst the guests as well the employees. In addition to the traveling pets, working police dogs and service animals utilize them. Pet parks provide a secure safe area to the dogs to have a drink of water, stretch their legs and use the restroom. Sky Harbor is one pet friendly airport where you can commonly see dogs in the terminals. Free "mutt mitts" are given to the pet-owners for clean-up purposes. If you want to go out, The Arizona Mills Mall is a good place to kill your time with retailers, eateries, IMAX theatre as well as GameWorks for kids to play a variety of arcade games. It is a short drive from the Phoenix Sky Harbor but due to unpredictable traffic it is wise to get back an hour or so prior to your flight. 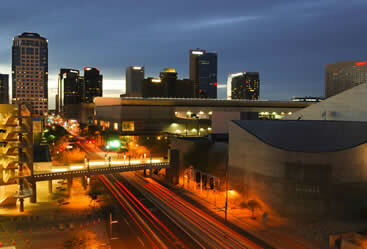 Phoenix Sky Harbor International Airport is a few miles southeast of downtown of Phoenix. It is a civil-military public airport. It is one massive and bustling airport of Arizona. And also one of the commercial airports of United States. Phoenix’s Sky Harbor International Airport is 3 miles southeast of downtown, making it susceptible to rush-hour traffic, and consequently confusion. The great thing about shared ride vans is that you not only get to ride with interesting people, but also save more than you would hailing a taxi or renting a private vehicle. Avoid getting frazzled on your way out of the airport by hopping onto one of the shared ride vans by SuperShuttle, allowing yourself the breathing room and relaxation you deserve. Plenty of places in Phoenix are big enough for large groups, but few transportation services offer adequately sized vehicles for the journey. Experience the city’s wildlife by visiting the exhibits of Desert Botanical Garden in one of our many private vans, heading out to other exciting group locations like Camelback Mountain, which is host to beautiful ranges and endless hiking opportunities. Many cherish Phoenix’s desert aesthetic as a natural wonder that holds both minimalism and its own exotic wildlife. Enjoy the beauty of Phoenix’s isolated environment by going on a quaint drive through the enormous South Mountain Park, an area that offers trails with tons of city views and places to relax. You can enjoy these vast views of the desert by reserving a vehicle appropriate enough for the intimate occasion – book a private sedan for a smooth ride and even smoother plans, a highly-rated transportation company that offers only the best in privacy. Families looking to visit fun landmarks should consider getting around town in a big enough ride. Book one of our many styles and models should suffice, especially for groups of 3-5 people. Visit the Phoenix Zoo, a non-profit institution that houses over a thousand animals and a petting zoo. If you’re the type of family that seeks thrills instead of relaxation, check out Castles N’ Coasters, a one-stop-shop for mini-golf and thrill rides. For a taste of New American with a southwest kick, visit Province Urban Kitchen and Bar, a stylish locale with tasty cuisine and a fully operational bar, not to mention a variety of imported beers. You can show up to locations like these and many more by arriving in unmatched style in any of our stretched limousines, a ride made perfect for daring to look as suave as the location you’re arriving to. Take pride in your success by treating yourself with a luxury vehicle today – Phoenix is waiting. Whether you’re a huge sports team or an office looking for an outing, chartered buses are perfect for large groups looking to have a good time. Get to natural wonders like Hole in the Rock and Piestewa Peak, both of which offer fun opportunities to hike through authentic Arizona wildlife. Get there as a group by reserving your chartered bus, heading out to The Musical Instrument Museum, a facility that not only keeps you out of the sun, but incredibly informed on the vast history of instruments from all around the world. 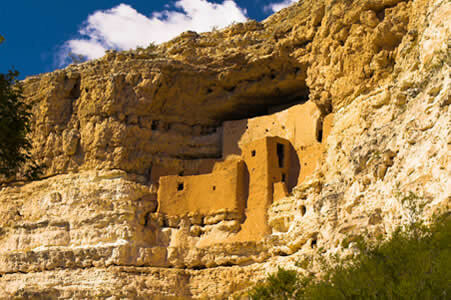 In 1906 President Theodore Roosevelt signed into the Antiquities Act the protection and preservation of the Montezuma Castle which was the home of the Sinagua. These people built their homes high off of the ground lived in these homes for several hundred years using a series of ladders to get up and down from the structures. → The castle structure is 5 stories in height and was built into the cliffs in the sturdy limestone rock. → Even though this structure was built in the desert the people survived off of the flowing Beaver Creek in the valley below them. 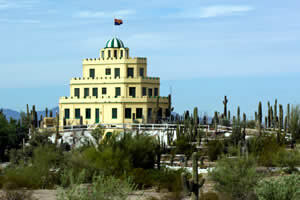 The Tovrea Castle at Carraro Heights is a historic landmark located in Phoenix and has been apart of the community for over one hundred years. While you are on the tour you can view the famous cactus gardens and the beautiful landscape in the almost fifty acres of land it is on. Here are some interesting facts you can view and learn when you visit the Tovrea Castle. → There are over one thousand cactus plants inside the Tovrea Castle grounds. → There is an aviary, ponds and even a place to play outdoor games.